This post is here to provide you with 5 Gmail tips to help put you back in the saddle and regain control of your email flow while improving your productivity. 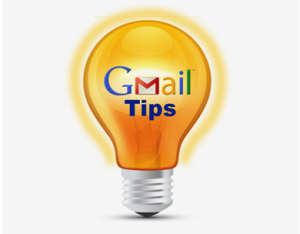 Technically, Gmail doesn’t provide aliases: however, if you have your own registered domain email (Google Apps) and you’re using Gmail to view and respond to your emails sent to this domain, you can set up aliases using dots or plus signs in your email address. johnsmith@gmail.com and john.smith@gmail.com will both arrive in the same inbox. 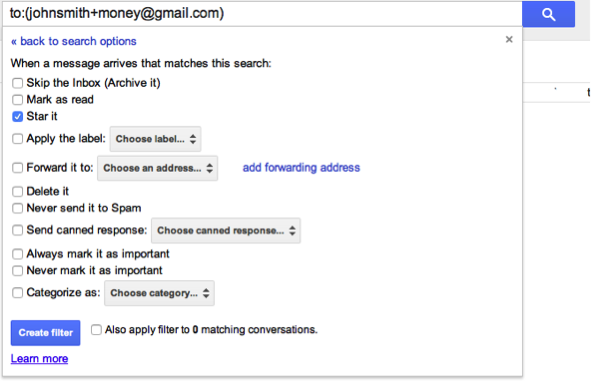 Once you have your aliases set up, organize your filtering within Gmail: go to Settings, then Filters. One idea is to create one that directs all messages to johnsmith+contests@gmail.com but messages to johnsmith+money@gmail.com are starred. Alternatively, you can label message automatically be selecting Settings, then Labels, then create different labels for different things: then use filters to label messages to john.smith@gmail.com as ‘Friends’ with messages to johnsmith@gmail.com as ‘Work’. All you need to do now is give the ‘right’ version of your email address to the appropriate people, and your messages will automatically be filtered and labelled correctly when they arrive. If you receive an email that you need to action, however you don’t intend to action it immediately, look above your emails at the Menu bar. While you’re in reading view you’ll notice a button marked ‘More’. Perhaps you’re in the Inbox list view, so you should check the box to the left of the specific item to get the ‘More’ button to appear. Clicking the ‘More button will offer a drop-down list of options. Next select ‘Add to Tasks’ and you’ll see a Google Tasks to-do list show up at the bottom of the screen: the subject line of your email will be added as a ‘to-do’ list item. Now you can edit the ‘to-do’ text, perhaps adding a due date if you wish. The beauty of this method of adding to your ‘to-do’ list is that every item in your list that’s directly related to an email will automatically link back to the email: this way you’ll easily be reminded of the details of the task. If you’re accessing your Gmail via a desktop computer with keyboard, or a laptop (instead of a touchscreen device) you can make good use of keyboard shortcuts to sort and manage your messages, thus saving time moving your hands from the keyboard to mouse and back to keyboard again. You’ll find a complete list of shortcuts here. The most useful ones to start with would be n (next) and p (previous), and these will quickly move you though the multi-message conversation in either chronological order or reverse chronological order. Use Ctrl + Enter to send a composed message. 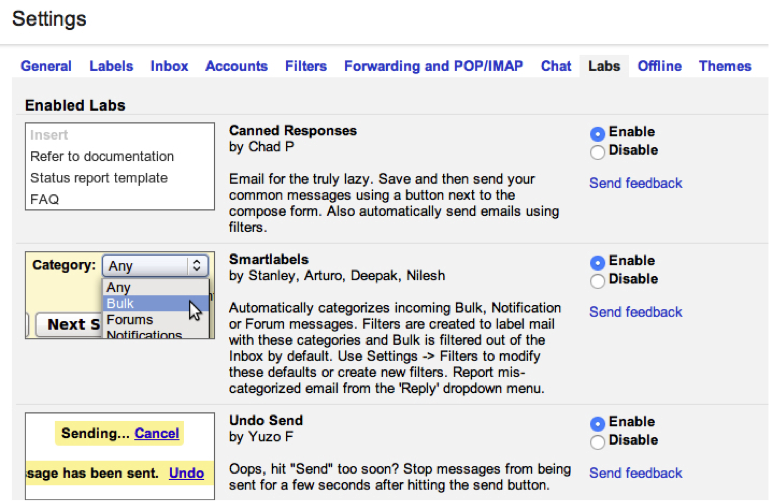 There’s a tab marked ‘Labs’ within your Gmail settings. Clicking on this tab will provide access to a range of tools Gmail users have created to work with Gmail. Canned Responses: This allows you to save messages that you often use, and insert them into your Gmail email with a couple of clicks. Undo Send: This marvelous tool provides the ability to recall a message for a few seconds after you’ve hit Send. So helpful if you’ve clicked Send and then suddenly see a big mistake? Create Your Own Shortcuts: There’s another tool that allows you to set your own preferred keyboard shortcuts if you believe the ones provided by Google aren’t a good fit for you. This is a very handy one. To speed up your ability to recognize and choose emails you need, you can create Labels for your messages, and then set a different color for each specific label. For example, you may have your business emails labelled in blue, your family and friends’ messages in green and your financial emails in red. This makes it so much easier and quicker to scan your Inbox and locate what you need. On the left side of the Gmail page, click the square to the right of a label. Note: If you don’t have any labels yet, first create a label to see the options above. Select a color from the palette that appears. 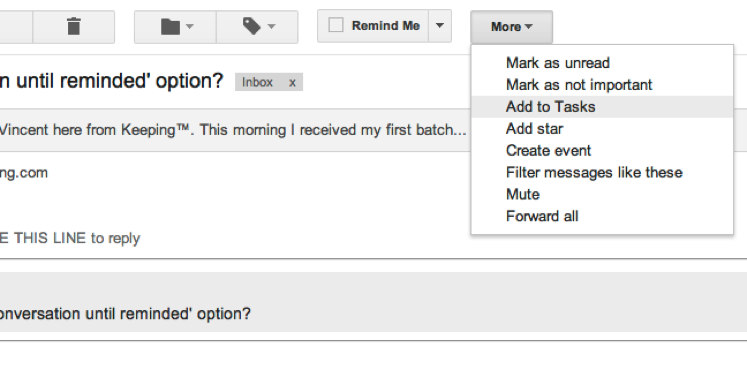 Changes will be instantly reflected in Gmail. 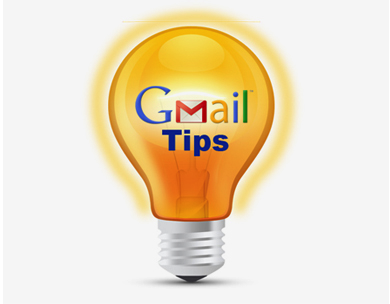 These 5 tips will surely boost your productivity and do share other Gmail hacks that you use that help you keep your inbox under control. We’d love to hear from you in the comments below. This post was written by Vincent Cassar, founder of Keeping™.